On February 24th and 25th, an international conference dedicated to the history of the period of Ukrainian statehood in 1917-1921 took place at the Columbia University under the auspices of the Ukrainian Studies Program at the Harriman Institute. 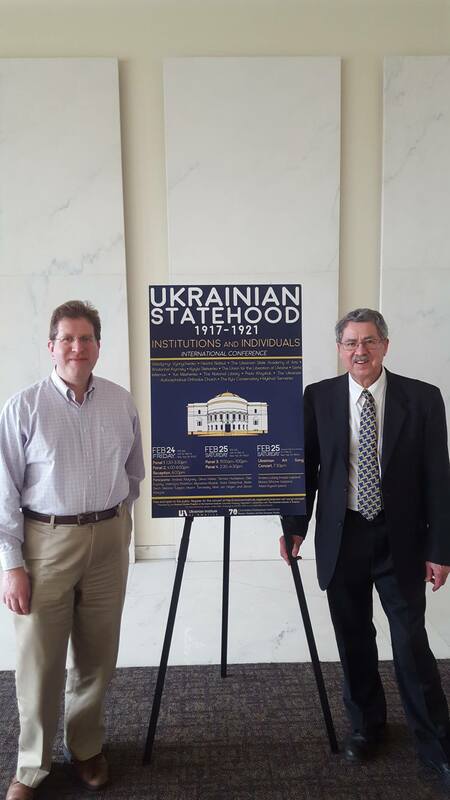 Although not one of the speakers, the Center's archivist Dr. Michael Andrec took part in the conference, which included our friend and colleague from the Cleveland Ukrainian Museum-Archives Andrew Fedynsky and scholars from throughout the U.S., Canada, and Ukraine, some of which have made use of the Center's archival resources. In conversations with conference participants, Dr. Andrec raised awareness among the scholarly community about the unique untapped resources at the Center.